The Great Backyard Bird Count is a great way for people of all ages and backgrounds to connect with nature and make a difference for birds. It’s free and easy. To learn more about how to join the count visit www.birdcount.org. House Sparrows can be found all across the world. They are so common in most cities that they are sometimes overlooked. Their name House comes from their success with the living near human habitations. Male House Sparrows have a rusty-brown colored back and wings with black streaks, a gray head, buff cheeks and belly, and a black bib. Females are a plain buffy-brown overall with striped buff, black, and brown back. 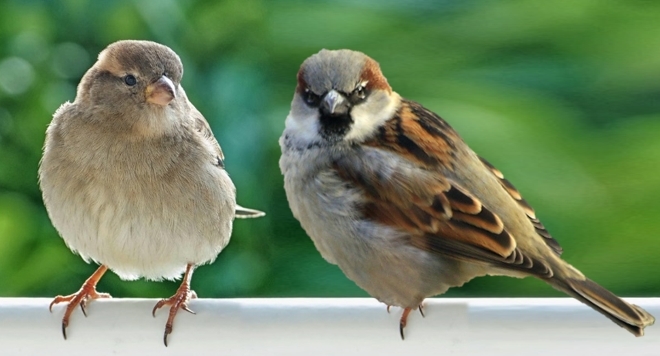 Between 1874 and 1876 a few House Sparrows were brought over from England and were released in Jackson and Owosso, Michigan to control insect infestations on crops. They quickly multiplied into thousands as they raised three to five broods per year regularly, each brood averaging around five babies. However in many other parts of the world the house sparrow has been in decline since the 1970’s. They are even considered an endangered species in the Netherlands. Similar drops in population have been recorded in the United Kingdom, France, Germany, the Czech Republic, Belgium, Italy and Finland. At the feeders you will see the House Sparrow eating mainly sunflower seed, millet and cracked corn. The GBBC is a joint project of the Cornell Lab of Ornithology and the National Audubon Society with Wild Birds Unlimited, as a sponsor! The information gathered by tens of thousands of volunteers like you helps track the health of bird populations at a scale that would not otherwise be possible. Except for a black mask and throat, the male Northern Cardinals are red all over including their bill. The females are less recognizable. They are shaped like the male but are a duller grey brown color and have only warm red accents on the tips of their crest, wings and bill. 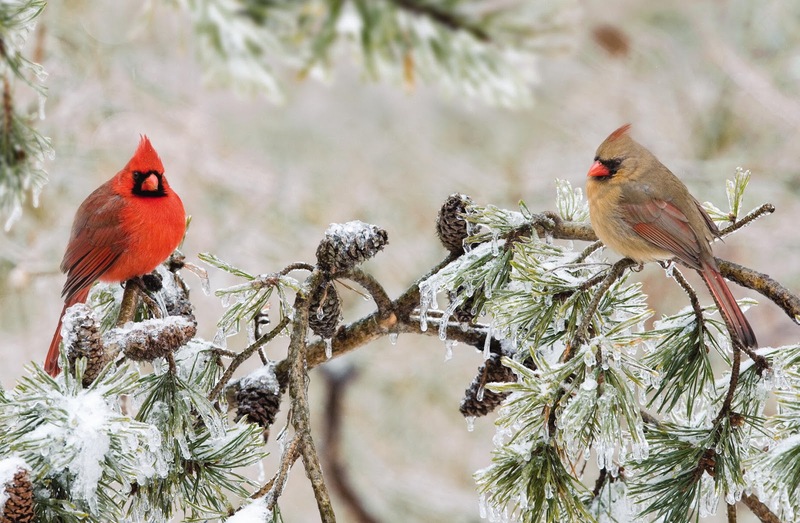 Cardinals are a delightful year-round resident in mid-Michigan and prefer tangled shrubby bushes and evergreens in yards with feeders. They form faithful pair bonds, and will visit feeders together commonly in the early morning and evening. Both birds sing to one another throughout the seasons with soft, bubbly whistles and when females incubate eggs in the spring the she keeps in contact with the male by singing on the nest, to inform her partner whether or not she and the young need food. So if you see the bright red male cardinal, look and listen for the "chip, chip, chip" of the less conspicuous female cardinal. Cardinals prefer to feed on the ground so if you can "raise the ground" by feeding cardinals on tray feeders, hopper feeders or any feeder that gives them a comfortable feeding position they'll be happy. Their favorite food is oil sunflower, nuts, safflower and fruit. 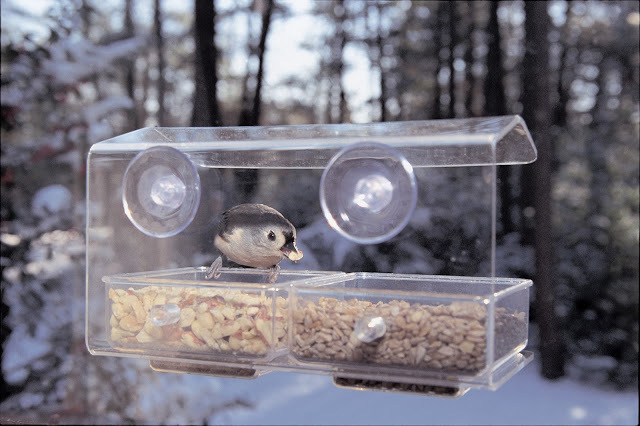 Wild Birds Unlimited has a wide variety of cardinal friendly feeders. 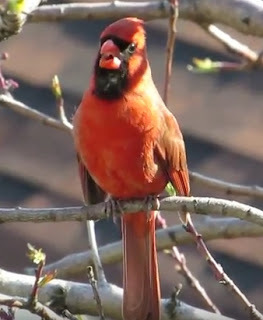 Walking into the store today I heard a beautiful Northern Cardinal Male singing loudly. Male cardinals start singing the last week of January, triggered by hormones and increasing daylight. Most cardinals form pair bonds around February-April. Males and females that have paired up in previous seasons are often the first to pair up as the new breeding season begins, sometimes even as early as January. As the courtship continues both the male and female begin to sing duets. Cardinals can sing several different song types but during the duets they coordinate songs. Scientists think this is another way for the female to determine her potential mate’s quality. Listen for them singing cheer, cheer, cheer or birdie, birdie, birdie. Next the males bring tasty treats that they feed to the females. A male’s ability to forage efficiently and provide good quality food is an important consideration for a female that depends on a male to provide food for her while she is incubating eggs and later feed her babies. 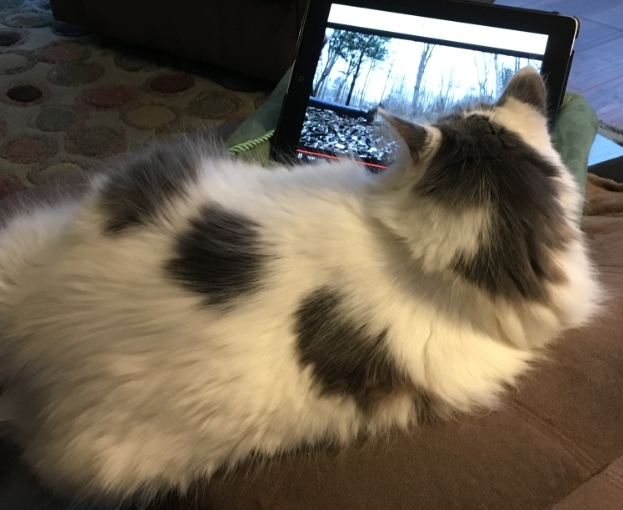 If you get home too late and need that birdwatching fix here are a couple videos you and your family can enjoy in the evening. Some days I'm tempted to just get her an iPad of her own. - On January 26, 1837, President Andrew Jackson signed a bill making Michigan the nation's 26th state. 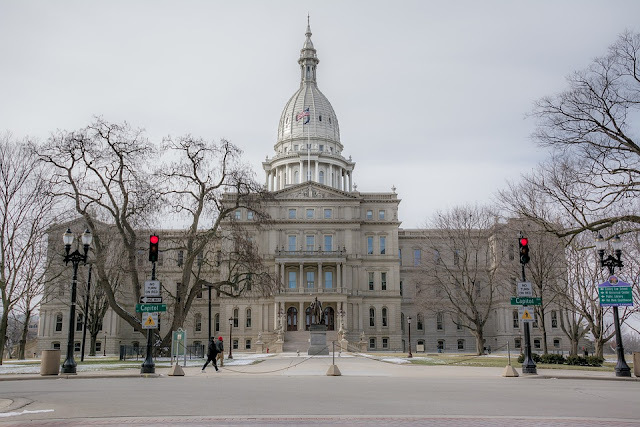 - "Michigan" is believed to come from the French form of the Ojibwa word mishigami, meaning "great water" and referred originally to Lake Michigan itself. - The Great Lakes account for one-fifth of the world's surface freshwater supply. - The city of Novi was named from its designation as Stagecoach Stop # 6 or No.VI. - The Kellogg Company has made Battle Creek the Cereal Capital of the World. The Kellogg brothers accidentally discovered the process for producing flaked cereal products and sparked the beginning of the dry cereal industry. - Vernors ginger ale was created in Detroit and became the first soda pop made in the United States. In 1862, pharmacist James Vernor was trying to create a new beverage when he was called away to serve our country in the Civil War. When he returned, 4 years later, the drink he had stored in an oak case had acquired a delicious gingery flavor. - The Detroit Zoo was the first zoo in America to feature cageless, open-exhibits that allowed the animals more freedom to roam. - In 1817 the University of Michigan was the first university established by any of the states. Originally named Cathelepistemian and located in Detroit the name was changed in 1821. The university moved to Ann Arbor in 1841. - Michigan State University was founded in 1855 and is the largest institution of higher learning in the state and one of the largest universities in the country. Mid-Michigan's chickadees are non-migratory and will be around all winter. New fall and winter flocks have been forming for awhile. Normal suburban flocks range from 6 to 10 birds over a territory of 20 to 50 acres. Young chickadees leave their parents about a month after they’ve hatched. They leave their natal territory and individually take up residence with other non-related chickadees several miles away. These first year chickadees have the lowest status in the group and try to pair up with a mate they can be with next breeding season and move up in rank as dominant birds die. The average lifespan of a chickadee in the wild is 2.5 years. Keeping their little half ounce body working efficiently requires a lot of fuel. From sunrise to sunset, the chickadee spends most of its time feeding. 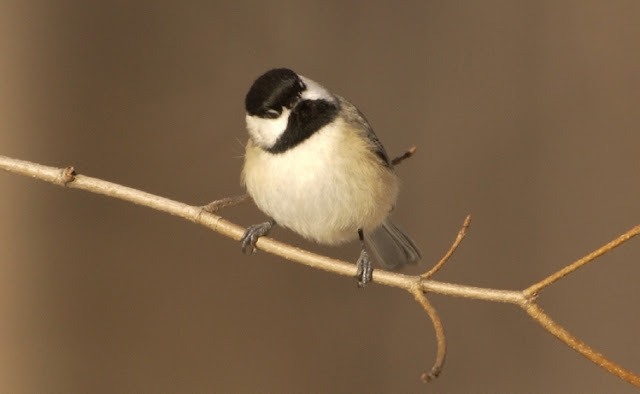 The natural diet of the Black-capped Chickadee consists of 50% insects, insect eggs, larvae and pupae, as well as spiders, and 50% seeds and berries in the winter. During the summer it is 70% bugs and 30% plants. An ample supply of foods, such as good seed blends, suet, seed cylinders, or nuts, provide a lot of calories to produce energy in cold weather. Dark-eyed Juncos have a slate colored head, back, tail and throat and a white belly. Right before they perch or when they face another bird, they raise and fan their tails, flashing white outer tail feathers. It is common to see juncos hopping under Michigan feeders in the winter first thing in the morning and right before sunset. They are a very social birds after nesting is complete during the autumn and winter months. Winter flocks tend to be small, typically 15 to 25 individuals. 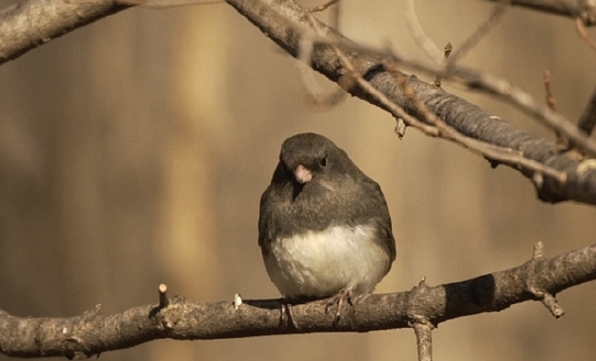 You’ll see Dark-eyed juncos wintering in the same area year after year. The flock stays in an area roughly 10 to 12 acres in size, but not all members of the flock are together all of the time. There is a social hierarchy within the winter flocks. Males tend to be dominant over females and adults are dominant over the younger birds. Because males are dominant over females in winter flocks, females have less access to food. Therefore, they do not fair well in flocks composed of many males. Females tend to winter farther south away from the males. Males need to risk harsh winters in Michigan in order to be closer to their breeding grounds. Females do not need to compete for territories in the spring and can take their time returning from southern states. The younger males winter the farthest north and must work hard to claim a breeding spot in early spring. Juncos, like many other members of the sparrow family, eat a variety of insects and seeds mainly on the ground. 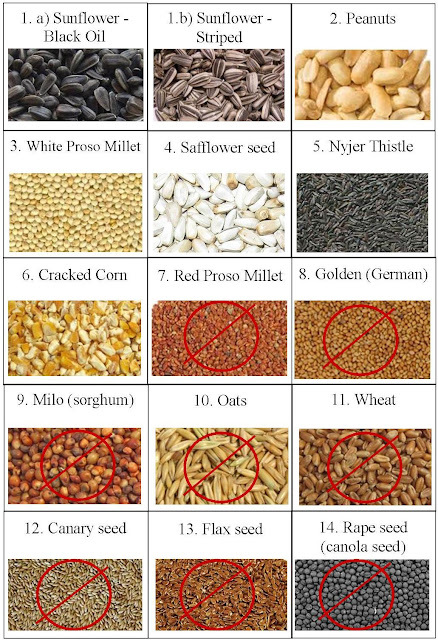 What seeds they prefer can differ across the country. Black oil sunflower seeds, millet, safflower, peanuts and peanut butter suet are some of the most popular foods that attract juncos to tray or ground bird feeders. You’ll also see the juncos scratching for grass seeds or insects in leaf litter and pine needles. • Why do some bird species migrate south one year and not others? These are some of the questions that might be answered with the information gathered through The Great Backyard Bird Count. Launched in 1998, the Great Backyard Bird Count was the first online citizen-science project to collect data on wild birds and to display results in near real-time. We invite you to participate! 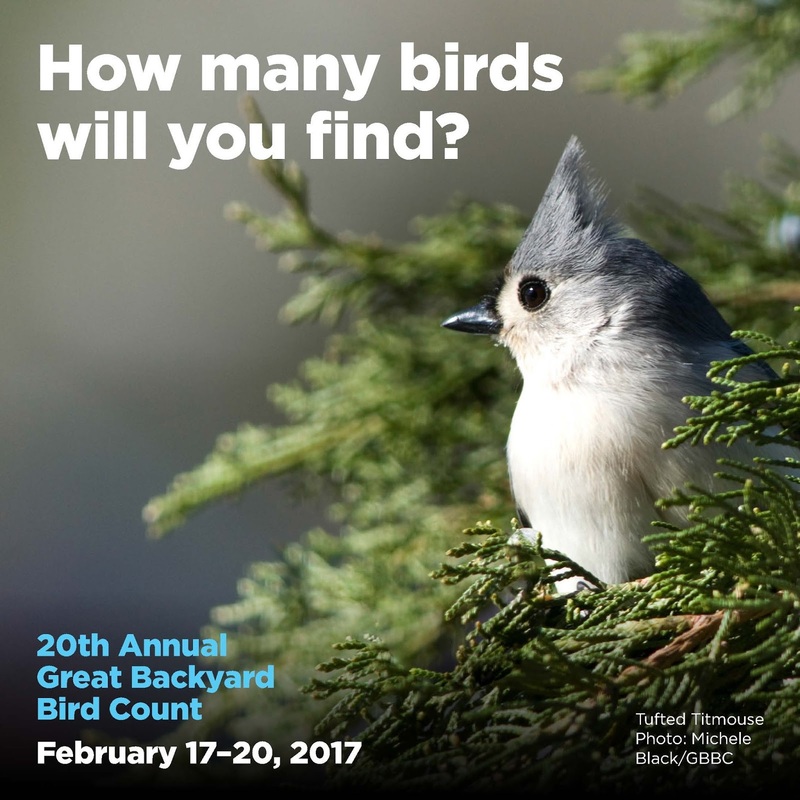 For at least 15 minutes on one or more days of the count, February 17-20, 2017, simply report the numbers and kinds of birds you see. You can count from any location, anywhere in the world, for as long as you wish! If you’re new to the count, or have not participated since before the 2013 merger with eBird, you just create a free online account to enter your checklists. Click here for more info on how to get started. What happens to the bees in this warm winter? 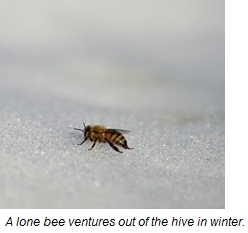 Honeybees head to the hive when temperatures drop into the 50s. They don’t hibernate, instead the worker bees surround the queen and form a winter cluster with their bodies. They flutter their wings and shiver to keep the inside temperature of the hive warm. In order to keep shivering, the bees must maintain their energy by eating honey. The mild winter weather has encouraged bees to start foraging in mid-January, and unfortunately this requires more energy than usual. 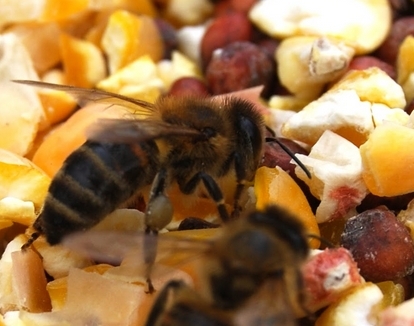 You will first notice hungry winter bees, if you feed dried fruit, cracked corn or grain sorghum (milo) in bird feeders because there are no flowers available to provide pollen. Honey Bees sip carbohydrate-rich nectar from flowers and collect protein-rich pollen to make honey and food for their young. The protein is essential for the hive in the spring to feed newly hatched larvae. Even though corn is high in carbs, its kernels do contain some protein, so worker bees gather corn dust to take back to the hive. Honey bees are unable to carry seeds back to the hive and process them for food. However they will carry small grains of the dust in their pollen baskets on their hind legs, and can even empty a bird feeder trying to get to this dust. These early bees are only territorial of their hive and tend to only sting when immediately threatened. Birds still may be intimidated by the presence of the bees. 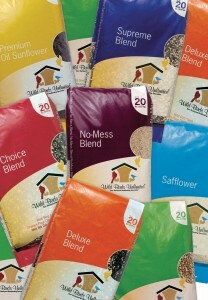 If the bees are a problem switch to Wild Birds Unlimited blends that do not include corn or cheap filler grains like milo, so bees won’t be attracted. Make sure to clean your feeder first before you switch seed blends to remove any remaining dust. You could also try to distract the bees from you feeder with an alternative source of food. And make sure to landscape with a lot of native wild flowers, trees and plants that bloom and produce fruit. This is not only good for the bees and birds but also for our environment. A lot of squirrel territory is the vertical, navigating up and down the trunks of a trees. They find a nut on the ground and run to a tree trunk to eat out of the view of predators. Because they have the treat in their hands, they only have their feet to secure them to a safe perching area. Fortunately they have well-developed claws in both the front and hind feet to latch on to rough surfaces. They also can feed comfortable headfirst down trees by swiveling their back ankle joints. Squirrels can maneuver quickly and gracefully thanks to a special adaptation where their ankles, or wrists, articulate. 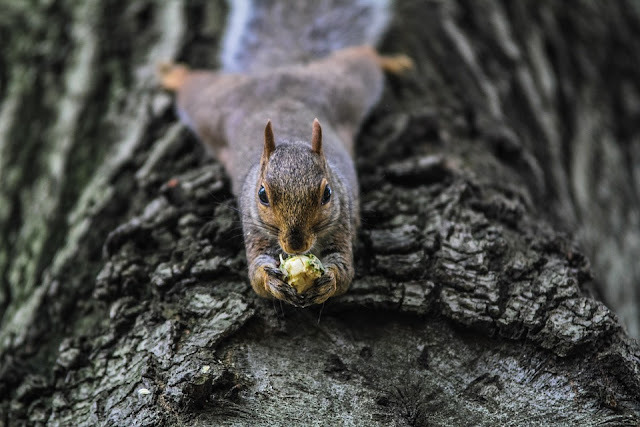 The squirrel may be heading down the trunk but its feet and claws point upward, enabling a good grip on the bark and a speedy dexterous descent.